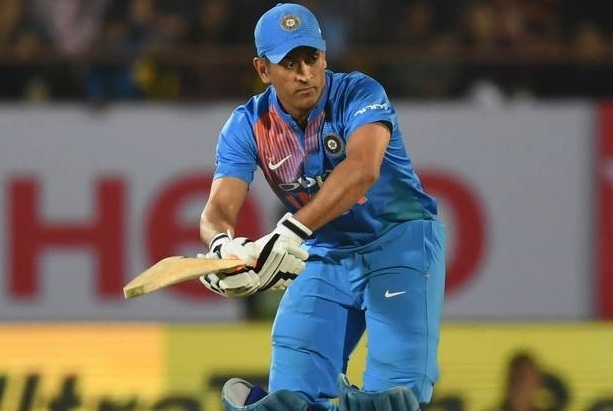 Mahendra Singh Dhoni's helicopter was not in the first match of the 20th match to be held at Dublin as Ireland. But the hitter Hartik Pandya's last ball was a six-point ball with a helicopter shot. India's Rohit Sharma (8x4, 5x6), Shikhar Dhawan (5x4 and 5x6) were the only two batsmen to score 208 runs for the loss of five wickets in 20 overs. India were bowled by Kuldeep Yadav (4/21) and Chahal (3/38) to wicket the wickets at 132/9 k. India have won by 76 runs and the second T20 match will be held on Friday night. Mahendra Singh Dhoni (1x4, 1x6 in the 11: 5 balls) came off the final ball of the 18th over for the last ball of the innings. Rohit Sharma and Virat Kohli (0) were also dismissed. Hardik Pandya (6 not out) in the crease got the chance to play the last ball of the innings. Bowled the bowling off the bowling of the bowling of Ireland bowled by Mahendra Singh Dhoni and hoisted a pistol ball over the bowler.